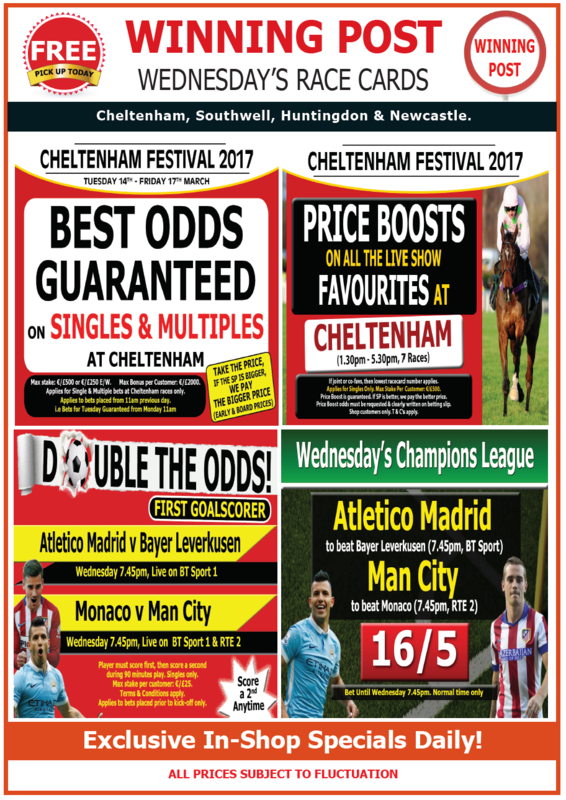 IT’S ST PATRICK’S DAY AND ALSO THE FINAL DAY OF THE CHELTENHAM FESTIVAL 2017!! 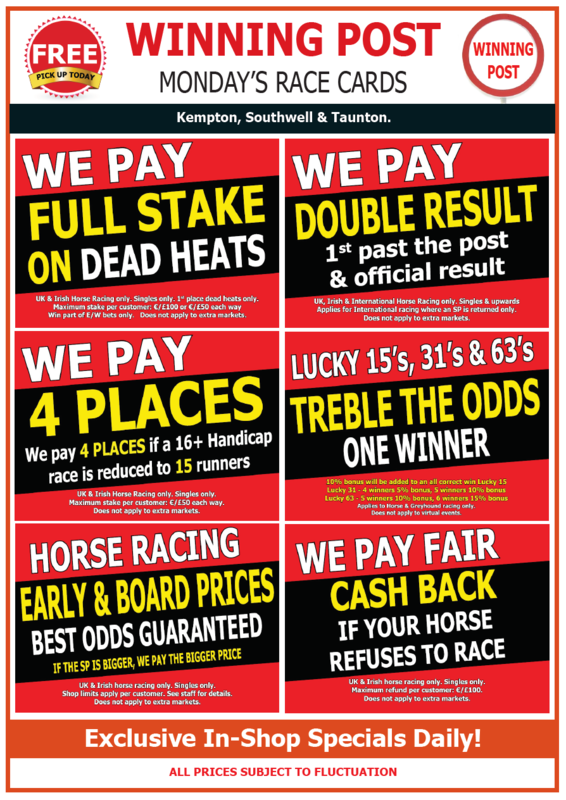 IT’S DAY THREE OF THE CHELTENHAM FESTIVAL 2017!! 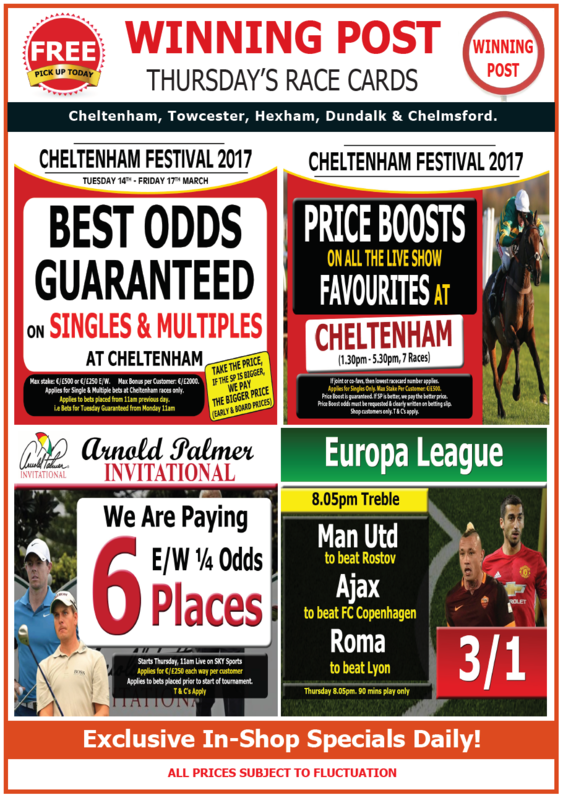 IT’S DAY TWO OF THE CHELTENHAM FESTIVAL 2017!! 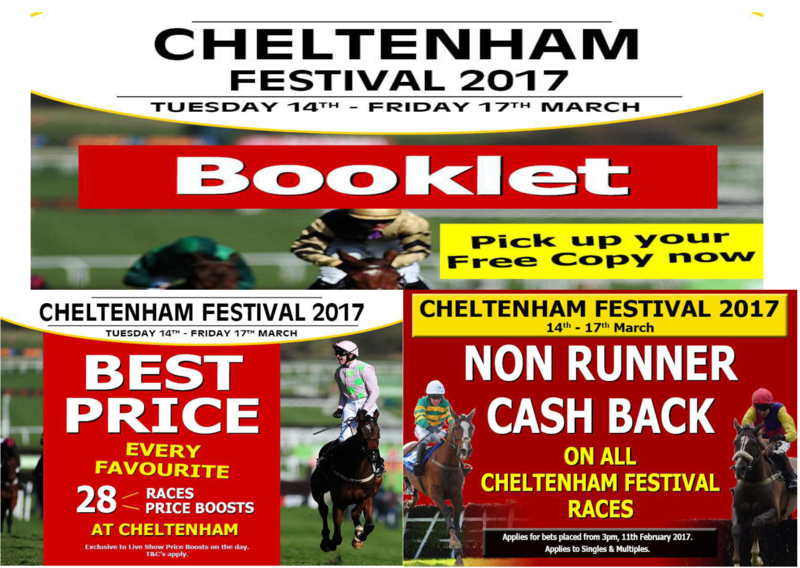 IT’S DAY ONE OF THE CHELTENHAM FESTIVAL 2017! !